A meeting of craft tradition and technical research, Lita is a range of decorative lights characterised by its elegant simplicity. Each item from the collection has been designed to become a "timeless yet evocative classic", combining an elegant design and materials that are pleasant to the touch. 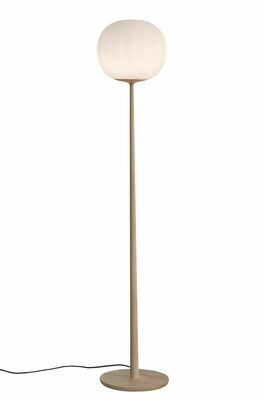 This wonderful floor lamp has a long and fine ash wood structure on which an opal white blown glass diffuser sits. The rounded surface of the diffuser has almost invisible vertical ridges, blurring at each end. The manufacturing process of Lita is steeped in history and the senses: it is a combination of symbols, geometric textures, natural materials and imagery which combine perfectly. 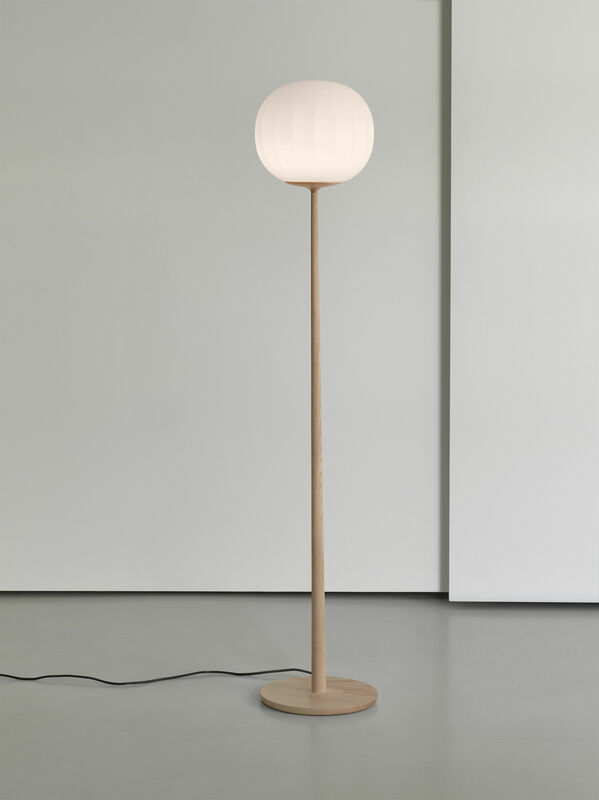 With a gentle and even light, this design with delicate and harmonious lines will blend in equally well in a lounge as on a desk, or even in a bedroom. 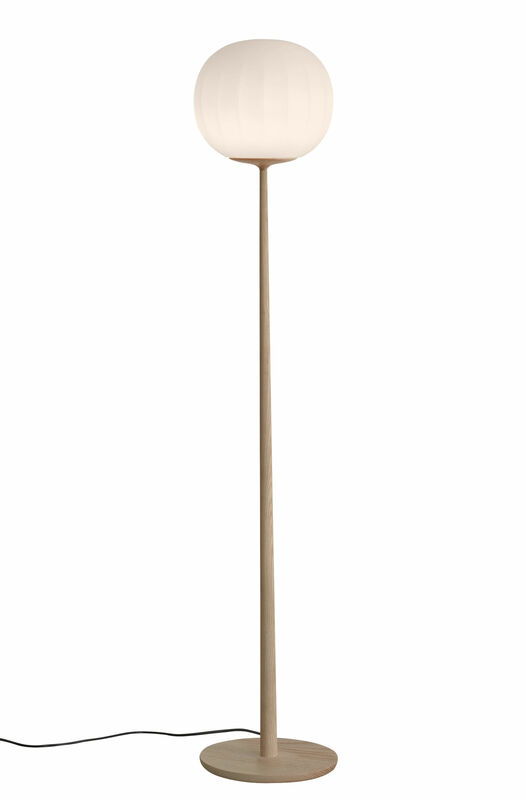 Offered in different sizes, Lita is also available in several versions which match perfectly with one another: wall lights, table lamps or ceiling lights.